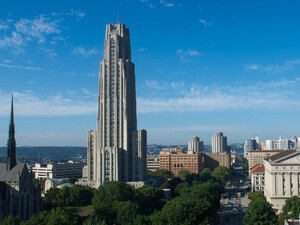 Join the University of Pittsburgh to learn more about their Institutional Master Plan (IMP). The IMP is a more detailed version of Pitt’s draft campus master plan, which was created after more than a year of input from Pitt faculty, students and staff as well as local community members and partners. In addition to the draft IMP being shared, Facilities Management will share information about the Scaife Hall addition and renovation project, which will provide additional classrooms, labs and library and student spaces. The project will partially renovate the existing structure, as well as include both new construction and the demolition of auditorium space on the corner of Lothrop and Terrace streets. Monday, February 11 at 5:30 p.m. to 7:30 p.m.